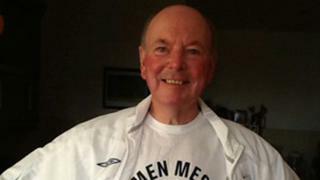 Michael "Kit" Carson, 74, was charged in connection with a football abuse probe in Cambridgeshire. The alleged offences happened from 1978 to 2009. He will appear at Cambridge Magistrates' Court on 17 April. Mr Carson, of St Bartholomew's Court, Riverside, Cambridge, was initially arrested in January 2017. Mr Carson has also worked extensively in Finland - where he began coaching youth teams in 2012 - and took UK youth teams on competitive tours of the country.